Here are a few of our new Spring Arrivals, we have so many new items arriving daily, stop in to see them all! 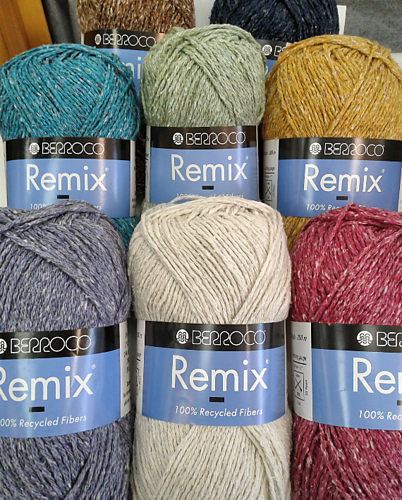 We are excited to carry Remix, it’s 216yds & made from 100% recycled fibers! This machine washable yarn is an exciting trans-seasonal blend that is comfortable in every way. 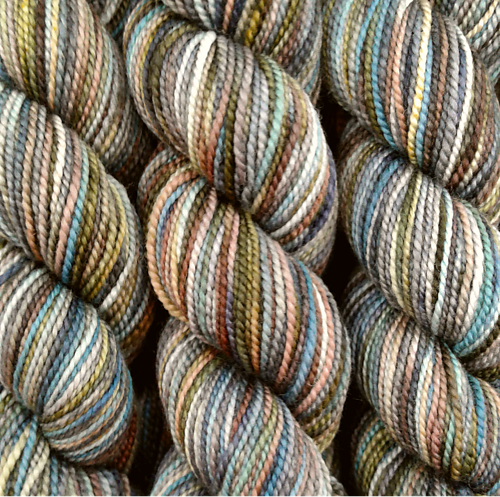 New Koigu kpppm colors have arrived at Northfield Yarn! 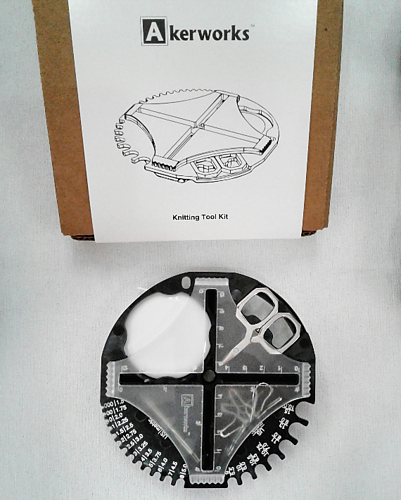 We all love The Akerworks gauge tool, well they’ve brought it to the next level by creating an all in one Knitting Tool, stop in the shop to see it for yourself! …check out those little scissors! 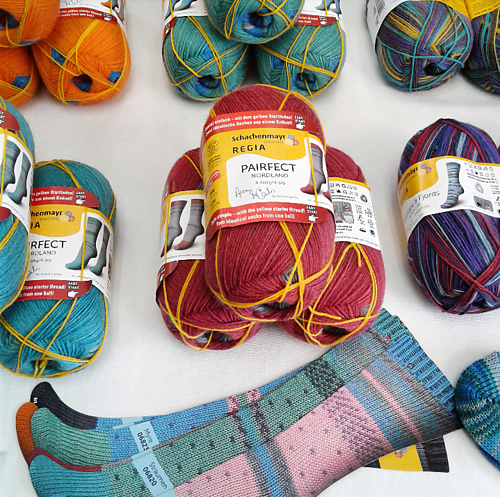 Louet has arrived at Northfield Yarn! 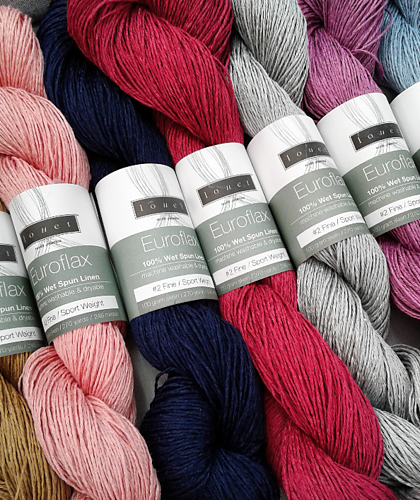 We are excited to have Euroflax Linen & Gems Worsted! New Regia Arne & Carlos sock yarns have arrived in shop, we have so many great colors of Pairfect Nordland and Design Line Mountains & Fjords! This entry was posted in Uncategorized and tagged Arne & Carlos, Berroco, Koigu, Louet, Northfield Yarn, Notions, Yarn on April 6, 2019 by Cynthia Gilbertson. We took time during our inventory to reorganized a bit, hopefully making it easier to navigate the shop and find exactly what you’re looking for. This entry was posted in Uncategorized and tagged Crocheting, Knitting, Northfield Yarn, Notions, Yarn on February 19, 2019 by Cynthia Gilbertson. Random Acts of Kindness Knit/Crochet Make-along! ❤ Northfield Yarn’s Random Acts of Kindness Knit/Crochet Make-along!  The city of Northfield’s 2019 Random Acts of Kindness Week is February 17-22.  In preparation, we invite you to join us in making knit & crochet hearts on February 10 from 12:30 – 3:30 pm & February 14 from 6 – 8 pm, during our regular spinning and knitting circle times.  Free heart patterns will be available here on the website (under the patterns tab) and in the shop starting today, February 4.  Then give away the hearts you’ve made during RAK Week & brighten someone else’s day! This entry was posted in Uncategorized and tagged Community Project, Crocheting, Free Pattern, Knitting, Minnesota, Northfield Yarn, Yarn, Yarn Shop on February 4, 2019 by Cynthia Gilbertson. Dresow Family Farm located in Lonsdale, MN, raises Cormo, Cormo cross, Corriedale cross, Shetland and Merino sheep. We are thrilled to feature a pop-up shop with Dresow’s roving, yarn, dryer balls, and rugs from February 2 – 9. The pop-up kicks off from 10 am – noon on Saturday, February 2, when Stacy Dresow will be in store to answer questions about her farm & fiber! This entry was posted in Uncategorized and tagged Crocheting, Knitting, Local, Minnesota, New Arrivals, Northfield Yarn, Yarn, Yarn Shop on February 1, 2019 by Cynthia Gilbertson. Let us help you stay warm and cozy, we have patterns and wools made for this weather! This entry was posted in Uncategorized and tagged Knitting, Northfield Yarn, Rauma, Yarn, Yarn Shop on January 30, 2019 by Cynthia Gilbertson. Copyright © 2019 Northfield Yarn LLC. Return Policy.